Molybdenum and tungsten carbide in the hydrogenation (nitrogen) carbazole activity was studied.Transition metal carbides (MOCVD prepared MO2C and W2C) was performed using the appropriate oxide precursor gas mixture with the following (MoO3And tungsten trioxide), temperature programmed reaction: 10vol% of CH4/H2. In the case of MOCVD prepared MO2C, molybdenum sulfide observe a single plate. Measuring the activity of the catalyst during the hydrogenation carbazole at temperatures (553-653 K) for a wide range of H2 at 6 MPa total pressure. 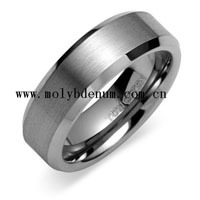 Tungsten carbide and molybdenum carbide comparison shows that under the same conditions than the MOCVD W2C prepared MO2C activity. However, W2C resulting in higher isomers major amount of product has a high hydrogenation activity.